Tourists are largely clueless about the existence of this beach and village on Bali’s west coast, yet it has a few highlights worth checking out. 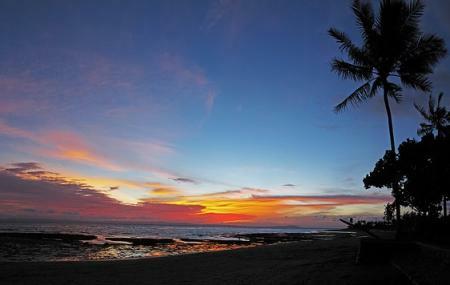 Perancak Sunset Point: The picturesque tip of an estuary peninsula, and the best place to be during sunset. Pura Perancak: The place where the Hindu priest Dang Hyang Nirartha, he who developed the Shaivite priesthood on the island, first set foot on Bali. Turtle Conservation Program: A small community that is nurturing the local turtle population back after it was nearly driven to extinction. The village is a nice place to walk about, if you’ve got the time. It’s the real Bali, the side that is not advertised to tourists. People normally club together Medewi Beach and Biorock Pemuteran while planning their visit to Perancak.